Conor McCloskey and Francis Regan sealed victory at this year’s FM Contracts Down Rally, round nine of the Pacenotes MSA Northern Ireland Rally Championship, while rival Sean Devine retired his Impreza WRC one stage before the finish. Devine, who was trailing event leader Conor McCloskey at the Castlewellan based event, damaged his Impreza while trying to drive around another stricken competitor on the Drumkeeragh stage. Although he was able to reach the end of the test, the damage forced him and navigator Damien Duffin to retire from the event. 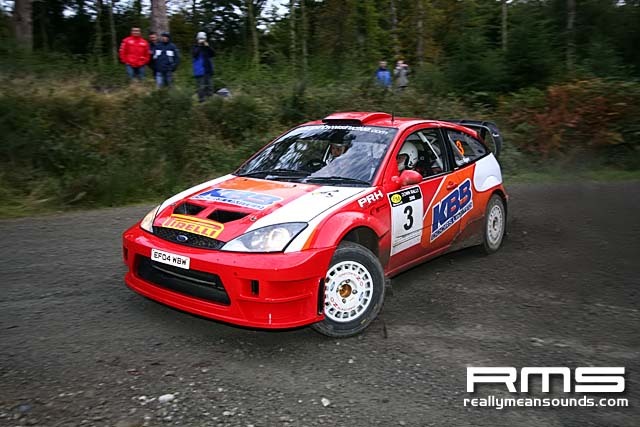 Their retirement took the pressure off Conor McCloskey and Francis Regan, who led the rally from the opening stage. 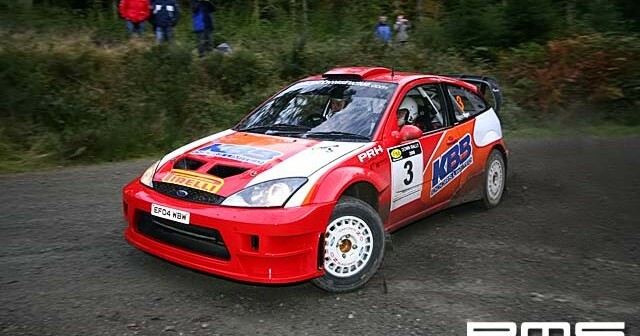 Despite stalling their Ford Focus WRC, they still led Devine going into that fateful Drumkeeragh test. In the end, they went on to spray the victory champagne at the finish. Today’s result sees Devine and McCloskey enter the final round of the season on even terms, ensuring the championship battle will go down to the wire in Ballymena. Championship regulations state that competitors may discount their three lowest scores from their championship tally. Devine has three no-scores, while McCloskey has two, but taking his lowest score of eight points into account, both men enter the final round on a total of 84 championship points. Round 10 takes place in two weeks time with the Ballymena based Townparks Glens of Antrim Rally. More news about today’s FM Contracts Glens of Antrim Rally will follow shortly.